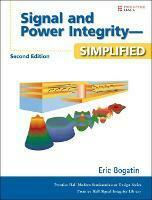 The #1 Practical Guide to Signal Integrity Design-Now Updated with Extensive New Coverage! This book brings together up-to-the-minute techniques for finding, fixing, and avoiding signal integrity problems in your design. Drawing on his work teaching more than five thousand engineers, world-class signal and power integrity expert Eric Bogatin systematically reviews the root causes of all six families of signal integrity problems and shows how to design them out early in the design cycle. This edition's extensive new content includes a brand-new chapter on S-parameters in signal integrity applications, and another on power integrity and power distribution network design-topics at the forefront of contemporary electronics design. Coverage includes A fully up-to-date introduction to signal integrity and physical design How design and technology selection can make or break the performance of the power distribution network Exploration of key concepts, such as plane impedance, spreading inductance, decoupling capacitors, and capacitor loop inductance Practical techniques for analyzing resistance, capacitance, inductance, and impedance Solving signal integrity problems via rules of thumb, analytic approximation, numerical simulation, and measurement Understanding how interconnect physical design impacts signal integrity Managing differential pairs and losses Harnessing the full power of S-parameters in high-speed serial link applications Ensuring power integrity throughout the entire power distribution path Realistic design guidelines for improving signal integrity, and much more Unlike books that concentrate on theoretical derivation and mathematical rigor, this book emphasizes intuitive understanding, practical tools, and engineering discipline. Designed for electronics industry professionals from beginners to experts it will be an invaluable resource for getting signal integrity designs right the first time, every time.